Created in 2010, the Google design sprint framework is the result of the study and test of 300 different business strategy, design thinking, and user research methods from places like IDEO and Stanford d.school. Google took the most effective ones and evolved them, arranging them into a framework that supports both divergent thinking (creative brainstorming that results in multiple possible solutions) and convergent thinking (using defined, logical steps to arrive at one solution). The methodology has evolved over time and continues to be refined and tested. 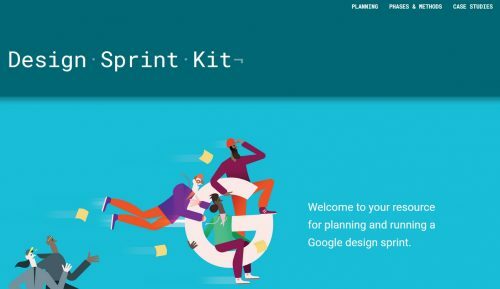 The Google design sprint framework website provides different case studies, a step by step guide to planning the design sprint, tools and templates tools to help you run design sprints and a FAQ. In the context of Scrum, this approach could be interesting to explore before you actually launch you project in a process that is often labeled as “iteration zero”. Very interesting resource. Thanks for to you (and Google of course) for sharing it.